Following a successful Kickstarter campaign, Zombiotik will be brought to Switch. Totema Studio hopes to have it ready by August 2020 at the latest. Coop Survival: 1 to 8 players against a growing number of zombie AIs. Work together to survive as long as possible against the horde.Play in any of 4 game modes: Pandemic, Time Attack, Last Man Standing and Coop Survival. 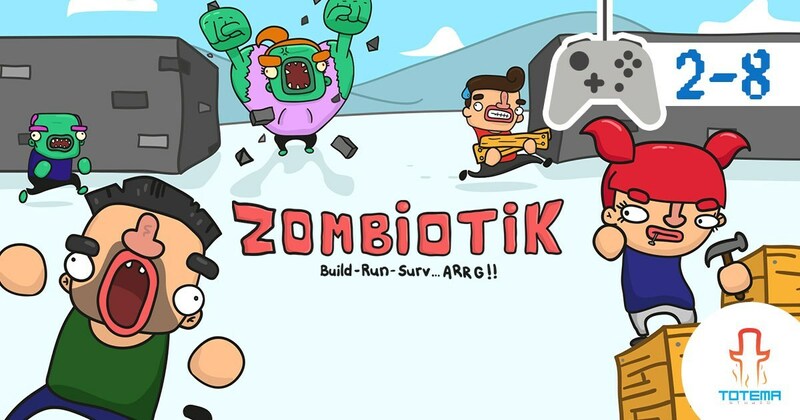 Zombiotik will be made available in both English and& French. If you’d like to contribute to the Zombiotik Kickstarter campaign, you can do so here.